Many thanks for your letter of October 13th enclosing one from the LibrarianDorothy Miner (1904–1973), medievalist curator of manuscripts at the Walters Art Museum, Baltimore, beginning in 1934. See “Miner, Dorothy E[ugenia],” Dictionary of Art Historians, http://www.dictionaryofarthistorians.org/minerd.htm (accessed September 9, 2015). of the Walters Gallery. The manuscript of which I very much want to have photographs is No 521.The “Imperial” Menologion (Walters Art Museum, W.521), an eleventh-century illuminated collection of saints lives for the month on January that Henry Walters acquired in 1930. See Georgi R. Parpulov, “A Catalogue of the Greek Manuscripts at the Walters Art Museum,” The Journal of the Walters Art Museum 62 (2004): 83–88. Selections of the manuscript are available as a digital facsimile at http://issuu.com/the-walters-art-museum/docs/w521 (accessed September 9, 2015). Of this, I should like to have photographs of all the miniatures. In addition, I should like to have a few representative head pieces and initials of No 520,Gospel Lectionary (Walters Art Museum, W.520), attributed to the second half of the tenth century. See Georgi R. Parpulov, “A Catalogue of the Greek Manuscripts at the Walters Art Museum,” The Journal of the Walters Art Museum 62 (2004): 77–83 and 148–49. Selections of the manuscript are available as a digital facsimile at http://issuu.com/the-walters-art-museum/docs/w520 (accessed September 9, 2015). and if possible, I should like very much to know on what ground No 520 is attributed to the Xe century. If you could get the Walters people to make these photographs, and to send one set to Hayford at 214 Cedar Street Bangor Maine and another set to me here I should be most grateful. 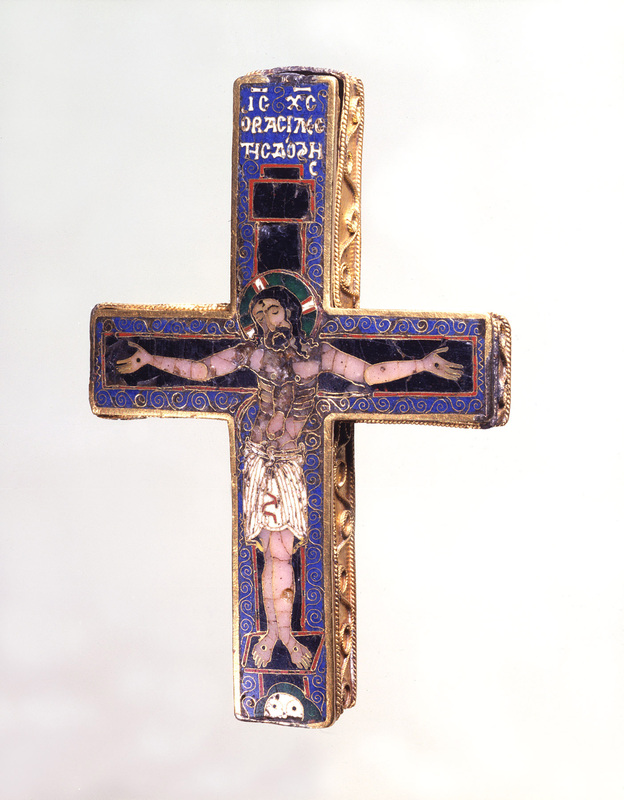 I don’t very much regret that you should not be trying for the Goldene Tafel.Crucifixion icon, Byzantine, first half of the twelfth century, gold and enamel, 24.3 cm x 17.5 cm x 0.1 cm, 430 gr., Reiche Kapelle, Schloss Nymphenburg, Munich. See Reinhold Baumstark, ed., Rom und Byzanz: Schatzkammerstücke aus bayerischen Sammlungen (Munich: Hirmer for Bayerisches Nationalmuseum, 1998), 44, no. 30. I don’t really regard it as first rate. The DreyThe firm of A. S. Drey was founded in Munich in the 1860s by Aaron S. Drey. The firm later expanded to London and New York. In New York, Aaron Drey’s grandson, Paul Drey (1885–1953), was a senior partner of the Paul Drey Gallery, founded in 1920. cross,BZ.1936.20. however, I do think is one of the finest, perhaps the finest Byzantine enamel I have ever seen offered for sale.